I put this guide together with the help of Harriet Cummings. Harriet and I are both involved in the intricate details of content creation, both for Distilled and our clients. While content strategy has made a name for itself, we were surprised by the lack of comprehensive resources for businesses wanting to create effective content. That’s why we put together this extensive guide, which covers content strategy from beginning to end, combining specific examples and interviews with industry experts. Creating truly engaging content is one of the greatest challenges marketers face. To effectively develop this type of content, your strategy has to be exceptionally focused. It is through this focused strategy that you can accurately target the individual reader, rather than the nameless masses, as you must address readers’ specific wants and needs to actually engage with them on any real level. This guide outlines the essential skills and techniques you’ll need to produce focused content ranging from websites and blog posts, to case studies and white papers. Those new to the content marketing industry may choose to work through the steps from start to finish, while those already versed in content marketing may want to dip into individual chapters to pick up new ideas. Your audience will quickly click away if your content isn’t relevant to them specifically. A 2013 survey found that 74% of respondents get frustrated when websites have content, offers, ads, promotions, etc. that are irrelevant to them. Relevancy is key to engagement; therefore, you have to find out who your audience is in order to create content that is meaningful to them. There are several ways to do this, including customer interviews and persona development. One-on-one interviews with carefully chosen customers can reveal a depth of information about your target audience, as well as the areas which you could improve as a business. Send customer satisfaction surveys to your email list (or to customers after they make a purchase). Of those who complete the survey, follow up and ask if they would be interested in an interview. This approach allows you to look at which respondents had the most to say or provided the most valuable insight. If you cold-call customers, you might get people who aren’t as forthcoming with their answers. Host a meetup or webinar and follow up with attendants to see if they’re interested in being interviewed. This also gives you a segway into asking for an interview, and is especially nice since your meetup or webinar can provide value to your customers (thus making them more likely to participate). Note: There will likely be customers and non-customers who attend these events. Existing customers will obviously have more feedback about your product/service, prices, customer service, etc. If you’re a startup, or don’t have a large customer pool to choose from, you can try using Mechanical Turk (a site used to outsource small tasks for pay). This is an excellent tutorial on how you can use mTurk for customer interviews. mTurk may also be a suitable option for any business that’s strapped for cash, as it will only cost about $1-$2 per interview. (More info on how to cheaply source data here). Of course you can always cold-call or cold-email customers to see if they’re interested in being interviewed. If you go down this route, it will be incredibly helpful to have a script or a templated email to use. That said, make sure you personalize each email or phone call, so your customers feel valued and respected. If you used company surveys or the mTurk method, you’ll already have demographic data, which you’ll need in order to create a diverse pool of interviewees (which is important for well-rounded answers that are representative of your customer base). If you found potential interviewees through other methods, you’ll need to vet them to ensure you have a varied group to interview. If you find yourself struggling to screen interviewees for diversity, try using the list below to take inventory of your candidates--simply tally up how many candidates you have for each point, and adjust as need (for example, you might have 6 candidates for the 18-24 age range, but none for 35-44). You’ll likely have to tailor this checklist to best fit the needs of your business (for example, you might not have customers over age 60, so there wouldn’t be much value in interviewing someone from that age group). If you use the mTurk method referenced above (or otherwise record your interview), you can go back through the interview as often as you need in order to glean the information you’re looking for. If you’re unable to record the interview, make sure to conduct them in pairs: one person to ask questions and one person to take notes. Conduct interviews over the phone, as people tend to open up more than during in-person interviews. Don’t resort to email unless you have to; talking to someone gives you the opportunity to feel out areas they might be willing to open up about -- this can reveal information you might not have discovered otherwise. Asking customers for their ideas on how to fix a problem (or how you can improve a service) is very helpful; however, this can be a rabbit hole you can easily get stuck in. Start by asking your customers about their problems or behavior before you start asking them for solutions. Leading question: Do you have problems with your boss? Non-leading question: How would you describe your relationship with your boss? The first question prompts customers to divulge only the negative aspects of their employer relationships, while the second question will give you a more holistic, neutral view. Open-ended question: What’s the most frustrating part about problem X? Close-ended question: Is problem X frustrating for you? The open-ended question encourages customers to prioritize their frustrations; it also allows them to open up and give you a full account of what’s going on. The close-ended question is a yes/no question, and doesn’t encourage customers to respond at length. Customer: I find it really frustrating when there aren’t video instructions for your product. Interviewer: I see how that would be a frustrating situation for you. Can you walk me through this problem more? Here, the interviewer affirmed the customer’s frustration without necessarily agreeing with him/her. You should develop an interview script so 1) there aren’t uncomfortable pauses that derail the conversation, and 2) you ask about all the areas you want to cover. However, you also need to allow customers to go on tangents if they head in that direction. This can provide unexpected and useful information. If the tangent goes too far, gently steer the conversation back to your questions. The information you ask about can largely depend on whether your business is B2C or B2B. Describe your age, gender, marital status, whether you have kids, etc. What are your biggest challenges concerning X? Can you tell me about the last time you experienced those challenges? What don’t you like about the solutions you’ve tried? How do you find new information? Who are the people you most respect and why? How do you prefer to interact with vendors (email, phone, in person)? What types of information do you look at before making a purchase? Describe a recent purchase. Why did you consider a purchase, and how did you decide to purchase that product or service? Who is your direct supervisor? Do you supervise anyone? What are the goals of your role? What industry does your company work in? What’s the size of your company (revenue, employees)? What activities do you consider an indulgence or treat? What activities do you consider routine or mundane? What types of topics do you generally read about? Once you’ve interviewed a selection of customers, you’ll have the information you need to start forming buyer personas. Personas can personalize customers, helping a content team understand not only readers’ interests, but also their wants, desires, needs, and motivators--ultimately making content more customer-centric. Note: If you’re new to buyer personas, keep in mind that you’re creating fictional characters who represent specific customer segments; your personas should not be based on a specific customer. In this situation, Patricia is the persona who represents VistaPrint’s customers who are female, aged 25-40, small business owners, detail-oriented, and creative. Geographic segmentation: based on region, climate, urban vs. rural, etc. Demographic segmentation: based on age, race/ethnicity, gender, occupation, income, family status, etc. Psychographic segmentation: based on values, attitudes, lifestyle, etc. Behavioral segmentation: based on usage rate, price sensitivity, brand loyalty, goals, etc. In group one there are the tech savvy, urban, busy customers who want a quick, efficient customer experience. Group two contains customers in mid-size cities and suburban areas, who are younger, eco-conscious, and willing to sacrifice price for their values. After you’ve created your rough customer groups, you can begin to flesh them out into personas, including background narrative, motivators, frustrations, needs, and pressure points. Once you have your personas completed, your content team can use them in several stages of the content creation process, which will be covered in chapter three. Q. Which methods of audience research do you rely on the most (audience interviews, persona development, data mining, etc) and why? The best way to learn about your audience is to connect and talk with them directly. This can be completed in a few ways – holding a group interview, survey, or having one off conversations. Anecdotal conversations can fuel a great deal of ideas for content development. If you are looking for more data with statistical significance, partnering with another company or publication to conduct a broader survey would be more appropriate. Q. What do you think are the most common audience research mistakes? One common mistake would be generalizing a finding from a conversation to the audience at large. If you are looking to get some ideas for a blog post, one off conversations are fine. If you are looking to invest in a larger content asset such as a book, you may want to get more data. Q. What do you find most surprising about your audience? How did you discover that about them? A surprising finding doesn't come to mind right now, but I've found that you can learn a lot about your audience by following what they share on social media. Sometimes people aren't willing to open up about their challenges in conversations or surveys. Q. For those new to content development, all the data from customer interviews, surveys, comments, personas, etc. can seem really overwhelming. How do you distill that information down into something digestible? It's best to have some goals in mind before beginning your audience research. This will help you organize your findings. For example, think about gathering data about your audience's top challenges, influencers, etc. By grouping the findings in such a way, you'll be able to crystallize ideas for content development more easily. Q. Do you have unconventional methods/places for sourcing audience data? These aren't truly unconventional sources, but sometimes we forget to look at internal sources when looking for audience data. Don't forget about the insights you have hidden in your CRM and marketing automation platforms. An analysis of your existing customer base or prospects could help uncover trends you may miss by focusing on external data. Also, customer-facing roles such as sales and support are often a great source of audience data. Q. These aren't truly unconventional sources, but sometimes we forget to look at internal sources when looking for audience data. Q. Do you have any advice for readers who want to improve their audience research methods? Don't get hung up on structure or research methodologies, especially if you have a small team. Get in touch with your audience directly. Set up a quick call to 'pick their brain' or network like crazy at your next industry event. Just as you need to identify who your audience is in order to create relevant content, you also need to identify who your brand is. Establishing your brand’s identity will determine how you approach the content you create. Ultimately, this allows for a unified, overarching strategy that will speak to your brand’s goals, as well as to your audience’s needs. Determining your brand’s identity is an ongoing process, but a good place to start is by establishing your brand’s unique selling point, voice, and story. A unique selling point (USP) differentiates your brand; it’s the reason customers do business with you and not your competitors. You need to answer the question, why your brand? Why should customers read your brand’s content? What do you provide that is unique and different? In order to produce relevant, engaging content you have to understand your audience. Similarly, in order for your audience to trust and engage with your content, they need to understand your brand: A recent survey found 54% of respondents believe a brand needs to tell consumers why they should care about it -- a USP can help you do that. Define the Problem: After analyzing your audience research, identify the problems your customers have. What are their common frustrations? How do they want those problems to be solved? Define the Solution You Offer: What benefit do you offer that no one else does? How can you fix your customers’ problems in a way that other brands can’t? Your USP shouldn’t be boldly integrated into every piece of your content; rather, it should inform the way you approach your content, just as your personas do. These headlines don’t read like a sales pitch, rather they provide value to readers while fulfilling Mint’s promise of making finances easier. Once you have identified your USP, you will need to consider how to reflect this in the way you speak to your customers. Having a consistent and unique tone of voice will not only set you apart from your competitors, it will also build trust with your audience. Let’s continue with the above example of financial tool Mint to illustrate how a tone of voice can be developed. As mentioned above, your company’s USP doesn’t need to be integrated into every piece of copy. Instead it should inform the general way you approach your writing. To work out how your USP might function in this respect, it’s useful to think about the wider values that surround it. Aside from financial motivations, why was your company initially set up? Does it have a wider goal such as caring for the local community or promoting justice? Or equally, does it stand for something more immediate such as helping people have fun, for example? Either way, start with your USP and think outwards. 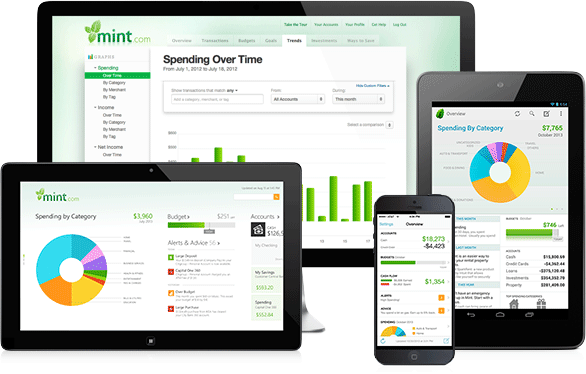 In the case of Mint, its USP is making handling money easier. In turn, its wider values might include helping families to avoid stress by keeping life simple. Mint’s belief in the importance of living a stress-free life is embodied in its choice of language; each word, phrase or expression that Mint uses works to reflect this value. ‘Simplicity’ might be used to characterize language here--Mint’s writers embrace everyday vocabulary that requires no background knowledge of finance on the part of the reader. In addition, sentences are kept short and simple. A contrasting example might be a company that values fun and spontaneity. In this case, its tone of voice would most likely be very informal and include plenty of colloquialisms and humor. 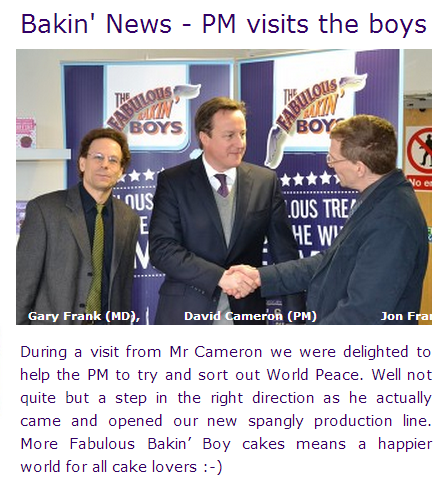 Take the food company The Fabulous Bakin’ Boys, for example. Contracted words are generously applied (such as bakin’ and munchin’), along with ampersands (&) and emoticons (:-S). The key to having a successful tone of voice is consistency. This doesn’t mean writing in the exact same way across all mediums (far from it). But you need to aim for an overarching consistency whereby customers can recognize your style of writing, no matter where they see it. Implementing a tone of voice across a company can be tricky, especially if there are many different departments that each contribute to external copy. A first step is to document your tone of voice in a written guide that sets out the essentials, along with specific examples of appropriate copy for different mediums. For a more in-depth guide on this subject, see Finding Your Brand’s Voice. A recent survey found 57% of respondents want to know about the history and quirky details of a brand. Introducing the story of your brand is one way you can open up to customers and start building a loyal community following. Using your brand’s voice and USP as a jumping off point, you can begin to craft your brand’s story and integrate it into your content, when appropriate. This personalizes your brand, which allows customers to feel more connected and engaged. To add to that, GoPro also includes a video that goes into the company’s history and story in depth. GoPro’s goal to enable users to share their incredible adventures has become so fully realized that user adventures are now the main component of the brand’s story. Even for their promotional/advertising content, they still use users’ stories and videos to showcase their products. Immersion: Each user story allows viewers to be completely immersed in adventure; GoPro uses video, music, and photos heavily in order to create a multi-sensory experience. Interactivity: By positioning itself as a popular photo/video sharing platform, GoPro encourages users to rush to the brand’s social channels to show off their adventures--effectively turning users into proud brand evangelists. Users also comment on GoPro’s daily photo and video, often posting additional videos. Integration: GoPro’s brand story is very cohesive, and is consistent on all its platforms (Facebook, Twitter, YouTube, and Instagram are its most popular). 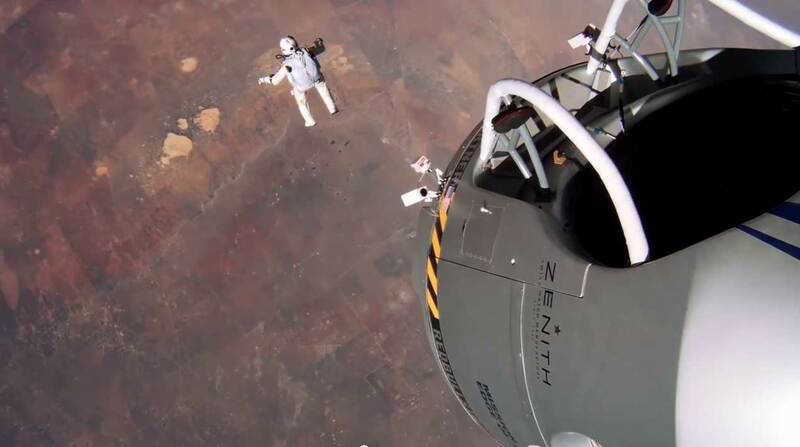 Impact: GoPro has positioned itself as the camera of choice for adventurers for almost a decade, and has been part of media stunts like Felix Baumgartner’s stratos jump. GoPro has seen huge success so far: it has 1.7 million YouTube subscribers, a passionate customer base, and revenue that has doubled every year since 2004; that success is largely attributed to its use of customer stories. Ultimately, defining your brand by distilling your USP, brand voice, and brand story will allow you to produce engaging content that provides the holistic, cohesive experience users require before they become loyal customers. Q. What’s the value of storytelling for a brand? Culture: Stories can be used to differentiate how you do things differently from others. It's easy to say "we are different" but no one will believe you unless you give concrete examples (i.e. stories) that show how you are different. Big events: You can use stories to inform people of the latest developments and innovations within the brand. The difference between an announcement and a story in this case is that an announcement informs you of a development but a story tells you why it happened. Beliefs: If you think your brand is all about "trust" or "great customer service" or "creativity," then share stories that demonstrate those values. Q. What makes a good story? Anecdotes, personal stories, telling your mates about your day, how an employee handled a difficult situation, a client’s experience – these are all stories. Not every story has to be an epic hero's journey type story although that can also be very useful in the right contexts. An example of a great story is David and Goliath - little guy takes on big guy. Boutique business shows the corporate megalith how to do it. Apple and Virgin did very well in their early days by portraying themselves as smart little businesses taking on the giants of IBM and British Airways. Q. 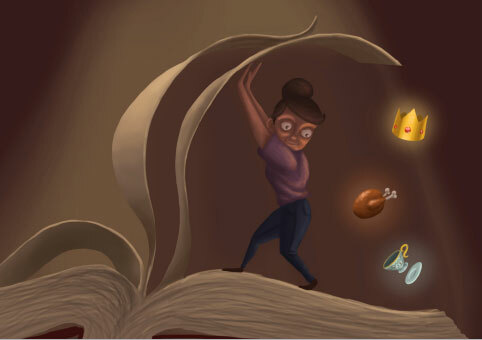 Are there any common pitfalls when storytelling? Try and avoid generalities. Compare "an entrepreneur was travelling overseas when he discovered a new drink and brought it back home to sell in his own country" to "In February 1984 an Austrian toothpaste salesman called Dietrich Mateschitz went on holiday to Thailand. He was jet lagged and exhausted and the bar man in his hotel gave him a drink. The drink was like a shot in the arm. He was suddenly wide awake, the drink was called Krating Daeng or Red Bull and it gave him an idea... ". The latter is much more engaging because it is specific. We want names, places and dates – it helps us place the story and it makes the story real. Q. Are there any brands you think tell stories particularly well? John Lewis Christmas ads use a classic story structure and they have had a huge number of YouTube hits as a result. Interestingly the products they show in these ads are mundane – a hat and scarf or an alarm clock. It's what you do with the products that is so moving. GE had a campaign which was very successful where they removed mission statements from their site and just used stories. GE healthcare and aviation stories on YouTube were very successful in the US market. In chapter one we discussed understanding your audience and identifying content they might like to see. In chapter two we discussed refining your brand’s identity and determining how to integrate that identify into your content. Determine what kind of content your brand already has; this will help you identify how you’re currently addressing customers’ needs, as well as where you have holes in your content. Then, you need to brainstorm ideas for content that will 1) fill your current content holes, and 2) grow your brand and provide ongoing value to your customers. Finally, you need to create an editorial calendar and guidelines for the content you plan to create. Taking inventory of your current content and auditing it for quality will allow you to get rid of what’s no longer relevant and identify what already exists, so you don’t duplicate your efforts down the road. While content audits can be intimidating at first, the process is very straight forward: go page by page through your website, analyzing your content’s structure, writing style, focus, effectiveness, and quality. You can conduct a content audit on your entire site, or you can do a partial audit (i.e. on just your blog, or on content posted in the last 6 months). The first step is gathering a list of your website’s pages. If you have a content management system, you should be able to use it to find a list of pages. If you don’t use a CMS, you can use CAT, ExtractURL, or WinWebCrawler to get a full list of pages. Your spreadsheet is where you will record all the notes for each piece of content you evaluate. There are a few Excel templates you can use (this one is the simplest), which have pre existing categories you can fill in for each page. How does this fit within the brand message? Actions (are you making any decisions about this content?). This section is very important if you plan on eliminating bad/irrelevant content or want to repurpose content. Once your spreadsheet is set up, you can import or copy/paste your page list. If you generated extra data along with your page list, you might find it helpful to only copy/paste the main data (URL and page title). To get a rudimentary architecture in place, try highlighting the entire URL column, then click Sort A-Z. 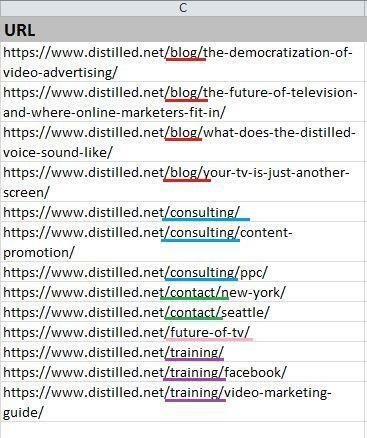 This will sort your URLs by alphabetical order (thus grouping similar URLs together). It’s helpful to keep all pages belonging to the same navigation category grouped together by ID number. For example, in the above screenshot you can see all pages in the Blog section start with the ID number 1, with the blog’s main page starting at 1.0. All pages in the Consulting section start with the ID number 2, with the consulting main page starting at 2.0, etc. Once you have this rudimentary architecture in place, you can start at the top of the list and fill out all the categories for each piece of content on your spreadsheet--the end result will be your site’s content audit. Once your content inventory is complete, you can determine existing content that speaks to your audience’s needs/questions. 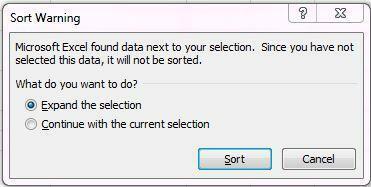 (Note: Using Excel pivot tables is very useful for this step.) You should also be able to see where your content’s holes are --maybe one persona or stage in the conversion funnel is neglected, maybe your content needs more variety, maybe your brand voice is really inconsistent, or maybe your site’s navigation doesn’t reflect the direction your content is headed towards. Once you’ve identified the holes in your existing content, you can begin brainstorming ideas to fill them. You should also begin brainstorming ideas for content that will grow your brand and provide value to your audience. If you chose to do a content audit, you likely saw that it can be easy to get stuck in a rut with your content. That’s why it’s important to give yourself time to brainstorm new ideas on a regular basis (even if it’s just 30 minutes every month). Here are some ideas for content types and different questions that may spark new approaches (this is not to say you should take these approaches, rather let them guide your inspiration). What topic most often confuses people about your industry? What is the best explanation of anything you’ve ever seen? What made it so effective? How might you explain something using only images or video? What subjects do people never dare discuss in your industry? What is the general wisdom that underpins your work? Contemplate the exact opposite. What words do people usually associate with your brand? What are their opposites and how might these new terms relate to your line of work? What would happen if everyone in the world acted like your brand? Who would play your brand in a film? Make time: brainstorming can’t be rushed. Give yourself a decent amount of time and space to generate ideas. Collaborate with others: talking to your colleagues will provide alternative perspectives and ways of thinking. However, you might have each individual brainstorm a few ideas before you meet; this gives everyone a foundation to work from. Also, you want to limit your brainstorming group to 3-4 people; too many participants can lead to an unproductive and unfocused session. Don’t self-edit: avoid dismissing ideas early on. Run with them and see where they take you. If brainstorming in a group, encourage a non-judgmental environment where people refrain from evaluating each idea. Use unlined paper: this will encourage you to jot down ideas as they form, rather than in any specific order. Come up with many different ideas: generally many ideas are needed to generate just a few decent ideas. Go away and come back again: before identifying which ideas could work, give yourself a little time away and return with a fresh pair of eyes. Act like your customers: go through the buying process or hang out where your customers hang out. Try to engage in the activities your customers do--whether that means going through your customer service department or heading down to the local coffee shop. Keep a notebook handy: you never know when an idea might strike. Another way of brainstorming ideas is to think of the different functions your content might have. 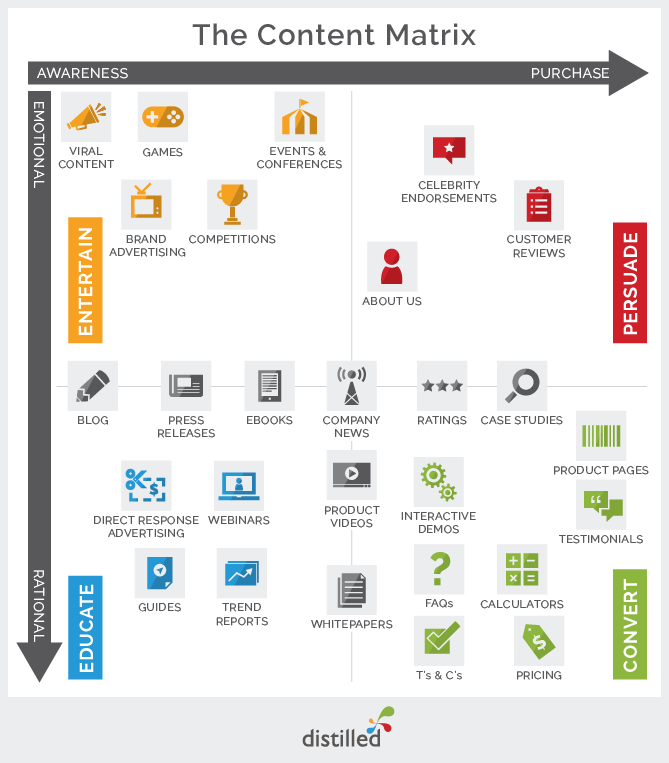 This visual below shows how content can be divided into four discrete types: entertaining, educating, persuading and converting. These tips are effective if you just need inspiration or new ideas in your content mix; however, you need to make sure your content is still on-brand and targeted. One way you can create highly targeted content is by structuring your brainstorm around your personas. This process (originally developed by Kapost) will help your content team structure an editorial calendar, and will allow you to target a specific persona in each piece of content. What are the main issues and concerns your persona is facing at this stage? What questions does your persona have? What type of content and topics can you cover to answer those questions or address those concerns? What are a few examples of headlines or titles for that content? This process ensures your team is creating content that addresses your customers’ questions, frustrations, and wants/needs. You can then use these content ideas as the backbone of your editorial calendar, mixing them in with other ideas. At this stage you should have a good idea of 1) what type of content you have, 2) what type of content you still need, and 3) solid ideas for moving forward. But before you actually start creating new content, you need to create an editorial calendar. It keeps writers, editors, marketing, PR, and social departments organized and coordinated. If a large piece of content could benefit from a PR push or if a marketing campaign could benefit from supporting content, an editorial calendar will keep all departments on the same page. Your editorial calendar is a great tool to track what does and doesn’t work. Writers and editors should be assigned to each piece of content in the calendar; after the content is launched and its success measured, editors can better determine which writers fit which types of content, or which topics/styles were most successful. A calendar can also ensure you add enough variety into your content mix. For example, if you want to introduce more video content, amp up your Vine efforts, or cover a new topic, you can specifically schedule those into your calendar to ensure they actually happen. As mentioned previously, you can also make sure you target each persona often enough. Q. Do you have a particular system for organizing writers? Our writers fall into a few different categories: content team, internal contributors, external contributors, and freelancers. The content team is what it sounds like--the people we hire in-house to be amazing at content creation and editing. That means content created on this team is pretty high volume, and extremely high quality. It should require minimal edits and can get published quickly. For other internal contributors, we expect a pretty great post, since they're trained on inbound marketing and our software, but we expect some edits since they don't know the intricacies of editorial like the content team. We also don't expect as high a volume from them, since they have other jobs. Some internal contributors work on a weekly schedule--they have a slot they get every week at the same time--while others submit erratically, just when they have a good idea. As for external contributors, we get a ton of guest post requests, and we only respond to the best of the best due to that high volume. Finally, there are some freelancers we work with--not on the main Marketing blog, but on some of our newer sections. They typically get assigned topics by section editors and their contribution volume varies based on their subject matter expertise, and how well they're doing overall in terms of content quality. Q. What’s the most challenging part of planning an editorial calendar? Any tips on how to do so effectively? The most challenging part is maintaining a topic balance that keeps your internal goals in mind, as well as reader delight and interest. For instance, if you're publishing 5 posts a day, you have to have a mix of posts that'll make people think, teach someone to do something new, light reading, etc. But you also have to think about how those posts help you meet your internal goals--traffic, lead generation, sales enablement. So the question becomes--am I skewing too heavy in posts that are really lead-gen friendly, and foregoing sales enablement? And is that causing me to skew too hard on how-to content, without publishing enough thought-provoking content? That balance is hard to maintain every single day. And some days, you don't get it quite right. But that's what's nice about a blog... every day's a new day. Q. Do you have any editorial goals for the next year--especially in terms of organization and planning? The goals are more around expanding to new audiences, and figuring out how to elevate the dialogue we're having with our established audience. Our organization will probably stay the same around that, and we'll just skew our editorial planning to have that goal in mind. There are many different tools you can use to create an editorial calendar; you might have to play around with a few different options before deciding on one you like. Google apps: If you use Google calendar, it can be an easy transition into using this for an editorial calendar (and there are plenty of functionalities you can employ to make it very robust). There are also plenty of user-generated Google doc templates for editorial calendars. Excel: This application provides you with a lot of functionality, and there are plenty of templates you can use; however, if you’re using an Excel file collaboratively, you should consider having all teams work from a master copy saved in the cloud, so it updates in real time. Otherwise you run the risk of someone updating it and another person working from an old copy. Trello: While this tool isn’t specifically designed for an editorial calendar, it can certainly work as one. Trello is organized into boards. On each board you can create multiple lists, and on each list you can add cards. For example, you might have a 2014 editorial calendar board, lists for each month, and cards for each piece of content. You can then assign members to each card and add lists/descriptions/files within each card. Kapost: This is a heavy-duty CMS option; Kapost allows you to view and schedule by list, calendar, or campaign. As with Trello, you can assign members to each piece of content and tag it with important information. Kapost also has a section where users can submit content ideas, which is helpful if you want to keep loose ideas organized. There is also an analytics section, which measures the performance of your content. An editorial calendar ensures your content is well thought out and your team is on the same page. Another strategy for creating consistent content is implementing a style guide that outlines your brand voice and standards. A comprehensive style guide not only creates consistency, it also gives writers something to refer to if they have questions. Resource policies: are there sources you don’t want to reference? Do you want writers to use only primary and secondary sources? Point of view to use. For example, ‘I’ or ‘we’. Grammatical preferences: are there industry terms you’re going to abbreviate? What about countries, currencies, etc.? Narrative vs. actionable content: when is it appropriate to use each form? Will you have guidelines concerning the length of written content? 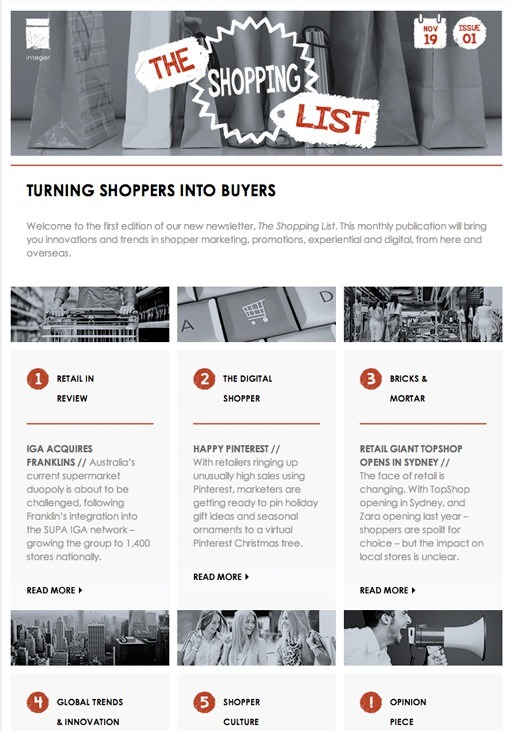 Implementing standards for all content like this will create a feeling of consistency and a strong brand identify, which helps gain consumer trust. We discussed metrics and goals briefly in chapter three, but it bears going over in-depth, as measuring your content’s performance will indicate where you need to adjust your efforts. Before you choose the metrics you want to measure, you have to first define your goals. The goals you choose could either 1) be overarching goals for your entire content strategy, or 2) be specific to an individual piece of content (or a series of content). Whichever goals you choose, keep in mind they should be measurable with either hard or soft metrics (it will be difficult to assess whether or not you’ve met your goal if it isn’t measurable in some way). Some goals will have obvious metrics you can look at in order to gauge success (i.e. if your goal is more customer engagement, you can look at social shares, comments, time spent on page, etc. ); however, other goals might be a bit more ambiguous in terms of which metrics you should look at. Q. What are the overarching goals for your content? How were those decided on? The easy answers are building awareness, generating leads, and moving those leads to become real opportunities the sales team can engage. But I consider these objectives rather than goals. The more complicated answer is that our goals are set quarterly and it's a companywide effort. We've assembled an editorial board that includes representatives from every part of the company including marketing, sales, customer success, product and engineering. We come together before each new quarter to list out the big goals, prioritize them, and then the content team develops a plan for meeting these goals. Q. Which metrics do you find most insightful when measuring your content and why? We use many that just about any company would recognize: traffic to our site, subscribers, shares and conversions. But we're really trying to go deeper into content performance. That's why we've actually developed a new methodology called content scoring. In a nutshell, we work backward across leads, opportunities and closed deals in a given time period and track all the content that touched those buyers. We're able to assign values based on when the buyer interacted with that content. The end result of the process is a calculated score that tells us how many leads, opportunities or deals an individual piece of content generated. We're actually rolling this feature out to all customers soon. Q. How do you respond to a piece of content that doesn't perform as well as you expected? I should say with tears, but in actuality we analyze it. What we want to know is why it didn't meet our expectations. In some cases, the content just wasn't the right fit. In other cases, it may be the method we used to deliver or promote the content. The important thing is to get to the "why" of a failure. It can actually be just as enlightening as analyzing successful content. Q. How closely do you monitor content metrics? Is measurement a core aspect of your content strategy, or does it play more of a supporting role? Measurement is everything. We're not going to simply guess our way to success. I have to make a case for just about every investment we make in content, and if I just walked into those meetings with a gut feeling I wouldn't last long. So metrics are tracked and reviewed every week, month and quarter. Key question answered: How many people consumed your content? Measured as pageviews, downloads, views, etc. Key question answered: How often do consumers of your content share it with others? Measured as likes, shares, tweets, retweets, and backlinks. Key question answered: How often do content consumers turn into leads? Measured using contact forms, signups, registration, etc. Key question answered: How often do content consumers turn into customers? Measure on and offline sales as you would normally, but after the transaction you can use CRM tools like Marketo and Hubspot to look at which pieces of content consumers viewed before purchasing. This type of content could come in the form of white papers, instructive modules/classes, longer video tutorials or lectures, case studies, etc. The goal for this type of content is usually to educate and inform, and is aimed at customers in lower stages of your conversion funnel. Lead generation: Many sites require a form submission in order to access longer content, which is an effective way to capture promising leads--people who are signing up to learn more are likely to be in the later ends of the search stage. You can use your site analytics to calculate lead generation. Conversions and conversion rate: You can also use analytics to track the number of conversions and your conversion rate. Conversions will give the total number of people who actually completed your goal (in this case the goal would likely be something like downloading the white paper or completing the instructional module), which is good to know if you have a specific number you want to reach. Conversion rate, on the other hand, will let you know what percentage of people converted out of all the people who viewed the landing page. Conversion rate isn’t necessarily helpful when assessing the success of the content itself, but might give you insight into how your landing page or form submission is performing. This type of content could come in the form of webinars, live Q&A sessions, how-to videos, etc. Its purpose is to inform, educate, and explain. The audience for this type of content might be in the search stage, but will more likely be in the awareness and trigger stages. Number of attendees/viewers: For webinars, you can ask people to RSVP and track how many attendees came to the event. You can also post the recorded webinar for people to watch later, and track how many total visitors it attracts. For videos, you can also track how many total visitors came to the page. This will let you gauge the overall success of the content, especially when you compare it to the performance of similar content. Bounce rate/call to action: Your bounce rate will likely be high on webinar or video pages, as visitors are probably going to watch the video and leave. In order to decrease your bounce rate for this content and move customers toward conversion, you can add a strong call to action (CTA). Your CTA could be anything from prompting viewers to download a guide on the same topic, to asking them to sign up for emails. You can measure the effectiveness of your CTA by setting up event tracking on your site’s analytics. Once you set up event tracking, you can then take a look to see if your bounce rate has decreased. Engagement: This is the most effective way to measure this type of content, as consumers this high in the funnel are likely going to engage via social media rather than convert. You should create a hashtag for your event and promote it in advance, as well as throughout your webinar or video launch. This will let you easily follow the conversation on social media platforms. You should be responding to questions and comments (both on social media and on your landing page), in order to encourage engagement. This will likely be your most regular form of content; however, it might also be your most varied--your posts or articles might address a variety of topics, personas, or internal insights. If you post regularly, it’s important to closely monitor which pieces of content succeed and which don’t, so you can adjust your strategy as needed. Page views: This is a great way of determining what resonates with your audience and what doesn’t. You can look at the number of pageviews for each blog post/article in order to track trends in success, including topics, formats, length, etc. In addition to looking at overall page views, you should also A/B test different aspects of your content: headlines, length, CTAs, etc. for a more specific idea of what your readers prefer. Engagement: As with webinars and videos, engagement is a great way to discover how well your content is doing. Firstly, make sure you have social media counters and buttons installed on your site. This allows your readers to easily share your content, and gives you a simple way to track what’s been shared through your site (there are also countless tools you can use to track brand mentions and specific content shares on social media). Make sure you respond to comments and engage in any social discussion of your content to encourage more engagement. Backlinks: People link to content they share and reference, so looking at how many backlinks a piece of content has is a way to see how many sites (and which ones) are sharing your content. Open site explorer is a simple tool that will quickly pull up all the sites linking to your content. 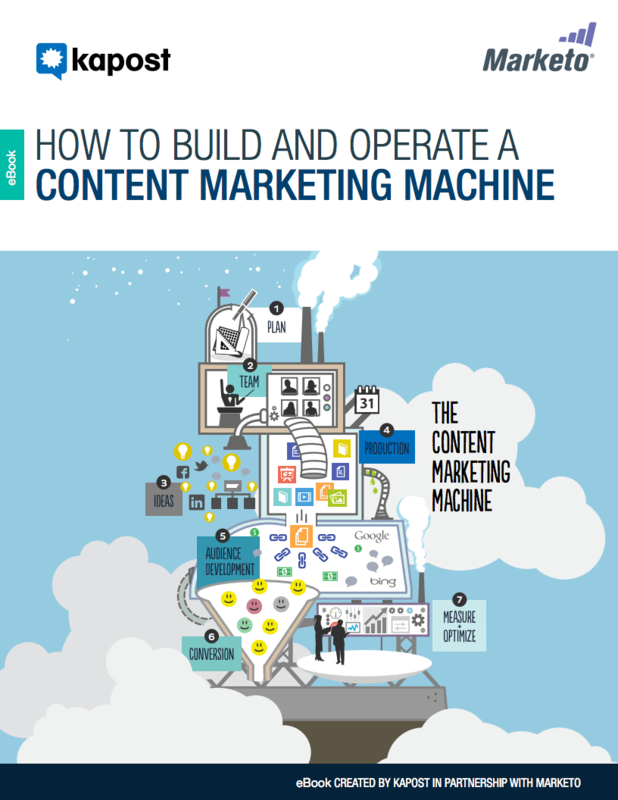 This type of content is very informative and educational, and is likely to attract people at the top of the funnel (however, more in-depth material could easily be aimed at retained customers). Referral traffic: If your company was interviewed for a specific article or if there’s a third-party site you posted a podcast or slide deck on (like slideshare), you can look at those sources to see if they’re sending any traffic back to your website. You can do this by looking at your site analytics (look under traffic sources). Brand mentions: If your content was focused more at the top of the funnel, you’ll probably better understand your success if you look at brand mentions and shares. You can use tools like Mention, Google Alerts, and Topsy to look at brand mentions. To track the mention and shares of your specific content, you can use Open Site Explorer for backlinks and SharedCount for social shares. Downloads/page views: If this type of content is hosted on your own site, you can look at the total page views via analytics, and how many people downloaded/watched your content through event tracking. Once you’ve identify goals for each piece of content, as well as the metrics you can use to measure how successful your efforts were, you can integrate those into your editorial calendar. This allows your content team to keep not only a piece of content’s details straight, but also the overarching goals of your content strategy. Good writing is at the heart of effective content creation. Take a look at these pointers for some guidance on structure and language. It’s incredibly useful to compose a rough draft before starting to write, even if it’s just a few bullet points. Drafting helps you pinpoint your key messages, so when you start to write you have a clear idea of the direction and shape of your argument. Without doing this, you are likely to become lost in a muddle of different ideas and suffer the frustration of going back to re-write what you’ve already done. Before putting pen to paper, consider who it is you’re writing for (as discussed in chapter one). Imagine your ideal reader is sitting across from you – what would you say and what sort of language would you use? Do this without self-editing or worrying about forming full sentences; bullet points work well here. Once you have all the points covered, start to organize them into a logical order. If you have difficulty figuring out which point should go where, consider your overriding message. If readers learn nothing else from your piece of content, what is the crucial idea you want them to take away? Another way of thinking about this is working out how you might announce your new content as a Twitter message – how would you sum up your ideas in 140 characters? Once you have identified this core message, the rest of your piece should take shape--even though your line of argument may twist and turn, it will always lead back to your central point. The introduction should be a short snippet compared with your main body. While it may be tempting to set up your piece with a lengthy introduction, doing this will put off impatient readers who want to jump straight to the core message. Once you have a basic framework for your content, you need to consider the fact that you’re writing for a web audience. Q. Is there any particular way you structure your writing process? A strong cup of coffee, crisp stack of 4x6 notecards, research, reading, and note-taking until I'm exhausted. Upon review, relevant notes find their way onto a legal pad or a blank Evernote page in a rough outline. To find my writing flow—where the words just pour onto the page—I have to put on some headphones, turn off any social media, apps or widgets that might interrupt me, and close the door to my office. The Pomodoro Technique is a great one if you're on a tight deadline. Once written, I let it breathe. If I'm running up against a deadline, I'll try to unplug for a bit, then come back and do word surgery. If I've given myself ample time (which is never), I'll let it sit for 24 hours before an edit. Thankfully I have some peers on the editorial team at Copyblogger with eagle eyes. Q. How do you generally like to conclude your writing? Our readers and prospects ultimately crave some kind of logical conclusion or solution from the chaos of their lives. As writers, it is our duty to provide a legible blueprint for something intrinsically valued and valuable to them. A clear and concise "call to action" is the natural conclusion for any online publisher or brand offering answers out there on the open web. Logos is alive and well. Q. Do you have any tips for dealing with writer’s block? Q. How do you come up with an eye-catching title? Titles, headlines, subject lines ... these are easily the most important things we craft, and they require time and study. I am a student of the "4-U" method for creating headlines: urgent, unique, ultra-specific, and useful. Sometimes it's hard to capture all four, but when you do, it's a thing of beauty. For me, writing a great headline is like throwing darts—and I'm terrible at darts—eventually one will hit the bulls-eye. Sometimes I fill two pages with them (headlines, not darts). Q. Are there any online writers who you particularly admire? I admire any writer that can evoke an emotional response (although not necessarily a controversy), because that kind of writing is hard work. The writers that I find myself tracing and retracing (my talented coworkers excluded) are writers like Seth Godin, Austin Kleon, Hugh Howey, and Maria Popova. They work hard and clearly give a sh*t. Authenticity and authority are a combination that is hard to fake. Writing is about the art of reduction. This is all the more true as content moves online; web users tend to scan instead of read, which means you need to keep your writing simple and concise. Divide your work into short paragraphs (between 1-4 sentences). Use bulleted lists where appropriate. Use subheadings to guide your readers through the article. Readers should be able to skim subheadings to get an idea of what your main points are. Use bold or italics to emphasize points. These will slow down your sentences and put-off readers. In my opinion, I think that there are too many websites that use overly lengthy descriptions of subjects. Too many websites use overly lengthy descriptions. Make the effort to explain things using simple terminology--your readers will thank you for it. The product has an improved functionality which optimizes the user-experience. The product is now easier to use. Use your own wording in order to connect with people on a personal level. Take advantage of this incredible offer, available for a limited time only. Make the most of our current offer, which ends on Friday. Now let’s look at the individual sections of a content piece. Imagine people seeing the title of your content referred to on Twitter or social media. Is it eye-catching? Does it get across your key message? Writing titles is often about treading a fine line between being intriguing and informative. After: Have you ever tried to sell a diamond? Quickly tell people what your content is about. Hook people in with any other features of your content; for example, original research or data. In some ways, the first two lines of your content are the most important; they need to catch the attention of your audience and compel them to keep reading. Acting as the heart of your piece, the main section should include all your most important points. These should be laid out in a logical order that leads the reader from one section to the next. To keep readers moving through the piece, consider finishing one section with a transition into the next. No new information or ideas should be given in the conclusion. Instead, aim to give a concise recap of your central argument where you pull together a few, key points. This is also your opportunity to include a call to action--now the reader has finished with your piece, what do you want them to do next? Now that your content is finally live, you need to promote it--as readers are not likely to find it on their own. Once you promote your content, your audience will likely have comments and questions that will need to be answered. After the first wave of comments and questions dies down, you’ll then be able to track and measure the effectiveness of your content and adjust as needed in the future. For larger pieces of content, you’ll likely want to send out an email campaign, and reach out to industry influencers or run a PR/outreach campaign. Australia’s Integer is an excellent example of a company that effectively uses email to promote content. It does this by giving readers little snippets of articles they can read, but it doesn’t overwhelm the reader with large blocks of text. When you use email to promote a piece of content, it can be tempting to send out very text-heavy emails, but you’ll quickly lose readers if you take that approach. Keep your emails visually interesting, keep text short and concise, and always explain the value of your content to the reader. Getting industry influencers to tweet or post your content can be difficult to do, and some experts think it’s an overrated tactic. If you don’t have time to cultivate relationships with influencers, another great way to get your content a little coverage is to reach out to sites that have shared similar content in the past. For example, if you created a piece of content similar to Distilled’s Brandopolis report, you could use Open Site Explorer to find all the sites that shared Distilled’s report. You could then reach out to the editors of the sites that shared the Brandopolis report, letting them know you created a similar piece of content you thought they might find interesting. This way you reach out to people who will likely find your content interesting and useful, increasing the chances you gain coverage. For smaller pieces of content, a social push should be sufficient to get the word out--you don’t want to inundate your email list with constant updates. To maximize the number of people who see your social efforts, make sure to tweet and post when your followers are most active. Followerwonk is a great tool for strategically planning your Twitter promotion. Under the “analyze followers” tab, you can see when your users are most active (GMT). You can use Facebook Insights to similarly track when your fans are online on any given day of the week. You can also use Insights to create targeted posts for fans based on their age, gender, interests, etc. This will allow you to reach people who will find your content helpful or entertaining. Google+ is a great platform for targeted sharing--simply share your content with your relevant circles. You can also share content with relevant communities your brand is part of--this will get your content in front of people who have similar interests as your business, but who may not have discovered you otherwise. Similar to Twitter, G+ also allows you to use hashtags and specifically mention people who you think will find your post interesting; use both of these features to get your content in front of a larger, relevant audience. Because G+ also integrates Google’s other features (including Hangouts and YouTube), you can host a live webinar, Q&A, or post a video as a follow up promotion. While G+ is a great platform for targeted sharing, keep in mind that it’s a mostly visual platform: long blocks of text will be ignored. Q. What do you think is the most common mistake made after launching a piece of content? I think the most common mistake is not doing enough to promote your content in ways that are truly useful for your target audience. I often think about this post from Ryan Skinner in which he concludes, “Brands can actually step down content production and step up distribution to get better results.” Focus on your best content, and put a great distribution plan in place for those pieces, even if it means producing less content overall. Q. Are there any steps you take to prepare for a content launch (pre-launch promotion, etc.)? While we publish content every day (daily blog posts), we don’t treat every piece of content the same. We have content that we consider to be “brick” content (i.e. a term we have borrowed from Jay Baer that means more in-depth, longer-lasting content), and we put a more formal plan together for these pieces. This is a coordinated effort between our editorial and marketing teams. One of the things the plan looks at is if this topic / piece is best promoted on a certain channel (e.g. LinkedIn, SlideShare). When it makes sense, we customize this piece so it can be best consumed by this audience. One example of this is a SlideShare we created based on a post Joe Pulizzi (CMI’s Founder) did on LinkedIn around how much a Super Bowl ad could buy you in content. We then took that piece and re-worked it for SlideShare, using a lot more graphics and a lot less text. The call-to action was the original post. Q. How do you determine the overall effectiveness of your content? I conduct a monthly analysis of all of the content we have published and look at everything from email signups to open rates to social shares in an effort to see which topics and content types perform the best. Of course, we then use that information as we plan our editorial. As a sidenote, I share the data and my analysis with the entire team, and we have monthly editorial team calls where we review trends and brainstorm topics. Having the meeting helps me consistently collect the data, and it (obviously) helps everyone see what is working – and what isn’t – so we can better plan future editorial. When it comes to responsiveness, 53% of consumers expect a brand to respond to a tweet within an hour. Additionally, consumers say brands they’re passionate about are consistent and responsive, among other traits. Consumers clearly want brands to engage and respond to their thoughts. You can use Topsy to search by the URL of your content. This will show you every instance your content was shared--both with original and shortened URLs. Topsy is convenient because it not only gives you the total number of tweets, but also who tweeted it and when. You can also simply type the URL of your content into the Twitter search bar to see when it was shared. Tracking shares and engagement is very easy on G+; all you have to do is search the URL of the content in the G+ search bar. This will show you all the times the content has been shared on G+, the +1s, and the comments. Facebook isn’t as easily traceable as other social media platforms; you can’t see exactly who shared your content. However, once you post a piece of content to your wall, you can see who else has shared it and liked it. You can access Facebook Insights to find the number of clicks, comments, and shares. Other than that, you can use a tool like SharedCount to see how many likes, shares, and comments a URL has. Tracking the comments and questions your content generates on these platforms will allow you to keep tabs on how the content is being received, as well as engage with and respond to customers. 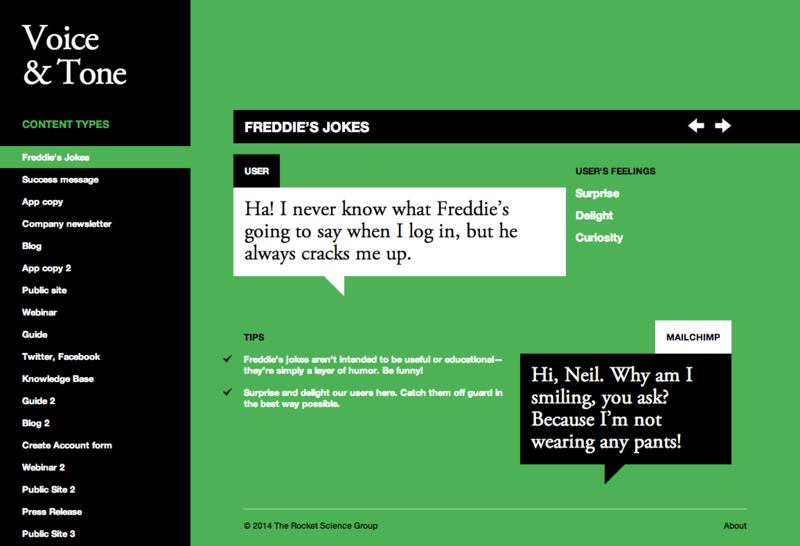 Of course part of measuring content’s success is gauging the type of conversation it generates. However, in order to truly measure the success of a piece or series of content, you have to also look at the specific goals you set for that piece (which we discussed in chapter four). Invitations to speak on topic or requests to follow up with webinar, Q&A, etc. How often do content consumers turn into leads via contact forms, signups, registration, etc.? If your content had a call to action/goal conversion (downloads, email sign up, registration, etc. ), how many consumers completed it? These metrics can serve as a way to measure the overall health and effectiveness of your content; however, in order to determine whether or not your content was ultimately successful, you need to measure the specific goals you set for that piece or series of content. Content often gets thrown around as a marketing buzzword, but it would be a mistake for your business to treat content as a passing trend: 61% of people feel better about a company that delivers custom content and are more likely to buy from that company. Employing a thorough strategy like this one will allow you to create sharp, focused content that speaks to your audience’s desires and your business’ needs. We hope you enjoyed the guide. To find more content from Distilled, check out our Resources page.